Its Spring in Utah – we are starting to see some green grass, fresh blooms and the ground is finally beginning to thaw. As happy as we are to see some signs of spring, melting snow can cause basement flooding. While the warming temps are the likely culprit, most flooding is caused by poor gutters, foundation cracks and improper runoff. As snow melts, it turns into water. On average, ten inches of snow will melt into one inch of water. The actual amount depends on how heavy the snow is. While Utah’s snow is said to be The Greatest Snow on Earth®, it is really light and dry, but still does contain water. A quick thaw can introduce a significant amount of water to the soil around your home. If it can’t flow away from your foundation, it can pool there and may eventually enter your home. With enough water, it can cause flooding. 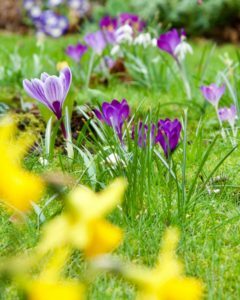 Spring rains can make the situation worse, speeding up the melting snow while adding additional water. A rapid thaw can result in snow flooding your basement or crawl space. This typically happens is there is a sudden change in temperature. Snowmelt flooding can damage flooring and walls, and left untreated, this can eventually turn to mold. 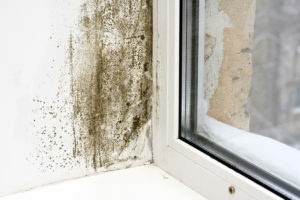 Any time there is a persistent source of water, there is a potential for mold. Although mold generally prefers warmer temperatures, it will thrive if the conditions are right. It is most common during slow, gradual thaws, but may develop after water damage or a flood as well. If you have water damage, you need to get the area dry within 24-48 hours to prevent mold growth. Mold can be harmful to your health and something you’ll want to address sooner versus later. 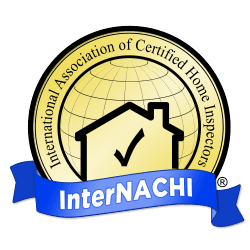 If there has been a lot of water damage, and/or mold growth covers more than 10 square feet, consult with HomeTech Property Inspections.